China opposes US withdrawal from the INF Treaty and has called on Washington and Moscow to engage in a dialogue, Chinese Foreign Ministry spokesman Gen Shuang said. "China opposes the actions of the United States (to exit the INF Treaty) and calls on Washington and Moscow to properly resolve their differences through constructive dialogue," Gen Shuang said. The diplomat warned about possible negative implications of US withdrawal from the agreement. "The US unilateral withdrawal from the INF Treaty may trigger a series of adverse consequences. China will closely follow relevant developments," he said. China opposes the expansion of the number of parties to the INF treaty and has called on the two parties to observe the current treaty, reach an agreement, and fulfilling their obligations, Geng added. On Friday, US President Donald Trump said that Washington will take steps on 2 February to withdraw from the INF treaty. 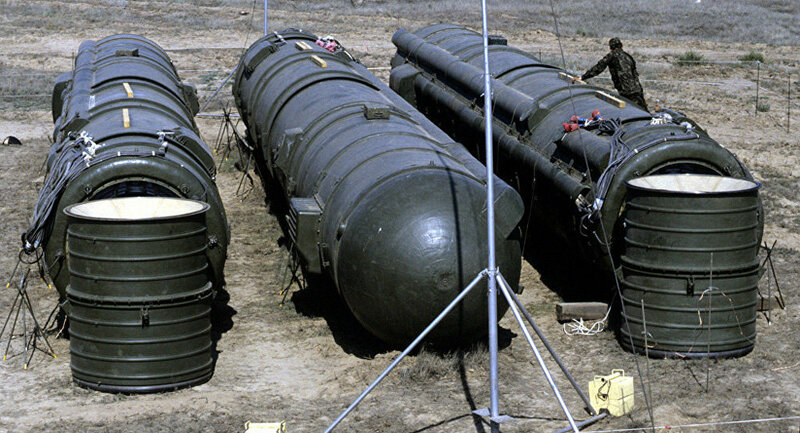 The INF Treaty, signed by the United States and Soviet Union in 1987, prohibits all ground-launched ballistic missiles with ranges of between 310 and 3,400 miles. The United States has repeatedly claimed that Russia's 9M729 missile violated the terms of the INF treaty, allegations constantly denied by Moscow. In turn, Russia has organised a special briefing on the disputed 9M729 ballistic system for foreign military attaches.